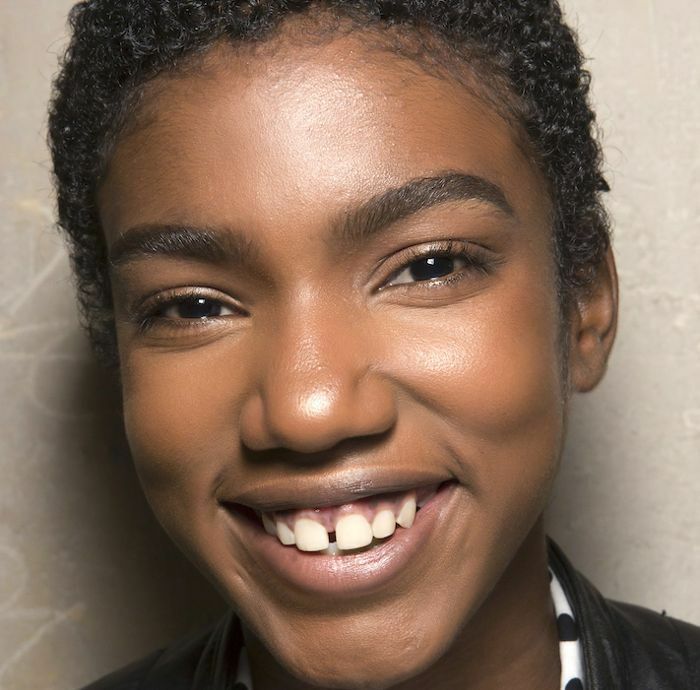 After talking to friends, co-workers, experts, and influencers, I'm pretty sure dark circles/under-eye puffiness is one of the main beauty issues that people look to remedy. Sure, we're told to drink more water, prop our heads up while we sleep at night, and do facial massages—and those things help—but at some point, we realize that we might just be genetically predisposed toward having under-eye issues. I, for one, have always said that my dark circles descended upon me like a plague the second I started high school. And against my best efforts, they've never left. I realize my word choice is dramatic (I literally just wrote that my dark circles "descended upon me like a plague"), but I find it annoying that I constantly look tired and run-down, even when I don't feel that way. That's why I'm always on the hunt for new eye creams and beauty habits that promise to do away with dark circles. A few months ago I picked up a derma-roller, which improved the situation drastically (I highly recommend trying it out—read more about micro-needling here). But most recently, an under-the-radar eye gel has piqued my interest, especially since it's quietly been trending on Amazon for weeks now. I've never heard of it, but some Amazon customers swear by its efficacy. The eye gel in question is this one from a brand called Baebody. It has 10,000 customer reviews and around 70% of those reviewers gave it a five-star rating. Just that fact is enough to make me whip out my credit card and wait by the door, but some of the detailed reviews get even better. The first listed review reads, "I bought the Baebody Eye Gel because my eye area was in need of serious help—I'm a mom, have a job, and recently lost some weight, which is apparently the perfect recipe for an under-eye disaster. All the great reviews (and reasonable price) convinced me to give it a try—and I'm so glad I did! I have been using it for just one week and I'm already really happy with the results. The wrinkles under my eye have lessened a lot, and my upper eyelid looks so much tighter and less droopy, which was an unexpected bonus." Another customer writes, "I spent a very long time looking for eye treatments on Amazon and reading all the customer reviews. While many products had great reviews, most of those reviews were by women much younger than me. I didn't doubt the reviews as much as I doubted if the product would work as well for me as it did for a [30-something] reviewer. 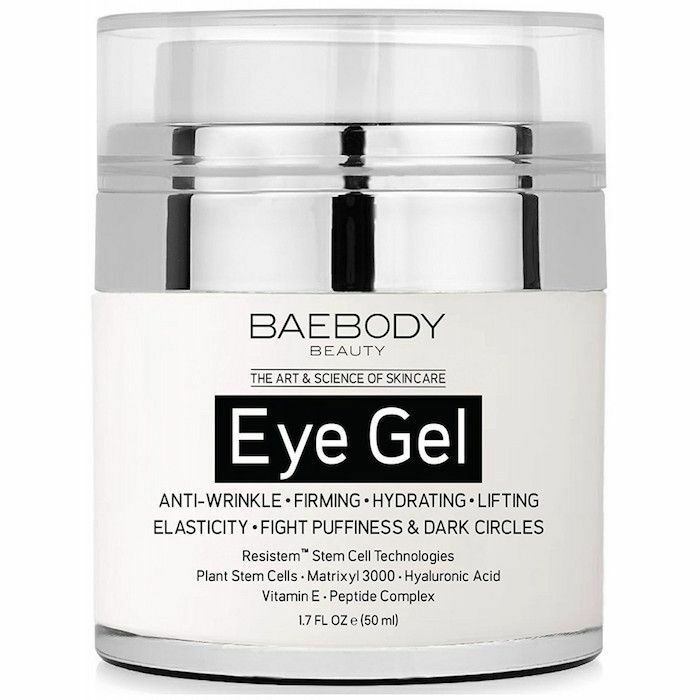 Then I found Baebody Eye Gel and read through the thousands of positive reviews, including great reviews by women in their 40s, 50s, and 60s. Just as important to me is that this product has natural ingredients, is manufactured in the United States, is cruelty-free, and is never tested on animals. It almost sounded too good to be true. But after using the product twice a day for a couple weeks, I was delighted with the results." These positively glowing reviews are due to the gel's ingredients, which include ultra-hydrating hyaluronic acid to plump skin and smooth wrinkles, plant stem cells to strengthen skin and protect against damage, and vitamin E to nourish. It's currently ranked as the third best-selling product in Amazon's entire beauty selection, so I'm going to go ahead and give it a try. At only $24, there's not much to lose—other eye creams are two (if not three or four) times more expensive. Now, I'll leave you with my favorite review, as it seems to be the most promising in regard to dark circles. "Dark circles show marked improved also after waking up from one single application. This is the first and only review I've done on Amazon, but I felt compelled to write one given the results." There you have it. Consider it sold.